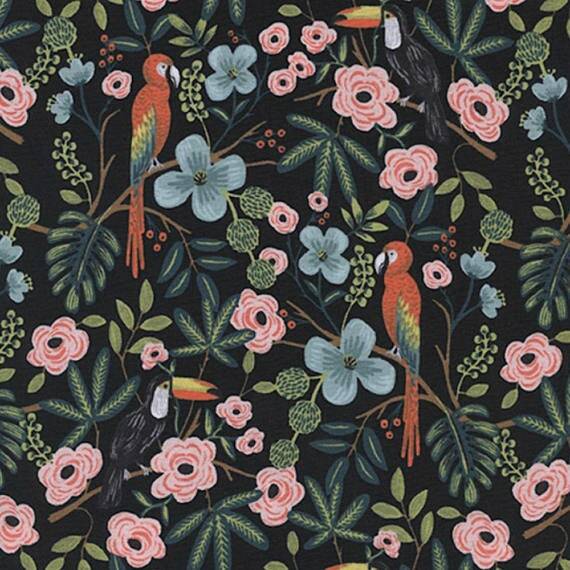 We are thrilled to announce we have in stock Menagerie by Rifle Paper Company! This is for a fat quarter of Paradise Garden in Midnight. Fat quarters are cut to Australian dimensions (approximately 50cm x 55cm or 20" x 22").